Posted on May 19, 2014 by Warin	in 1954, 1960., Arkansas, Brown v. Board, Little Rock Nine, Ruby Bridges, Thurgood Marshall. In a unanimous decision on May 17th, 1964, the Supreme Court ruled that segregation in public schools was illegal. With that one ruling, the walls of segregation in America began to crack, and about 10 years later, crumble. Brown v. Board launched the career of Thurgood Marshall and for the first time ever made it a requirement that minority students have access to the same books and facilities as white students. You better believe there was resistance. There were threats against black students who went on to integrate Little Rock Central High School in Arkansas, and those students became known as the Little Rock Nine. In 1960 there was the story of a 6-year-old girl who was subject to vicious taunts and threats from adults while being the only student in the classroom for nearly a year as she desegregated the New Orleans school district. Her name, was Ruby Bridges. These days schools are still very much segregated here in the United States. A recent study just came out that said New York City has the most segregated public school system in the country. 60 years later, there is still work to be done. Posted on January 14, 2014 by Warin	in 1960., Academy Award, Dorothy Dandridge, Juanita Moore, remembrance. 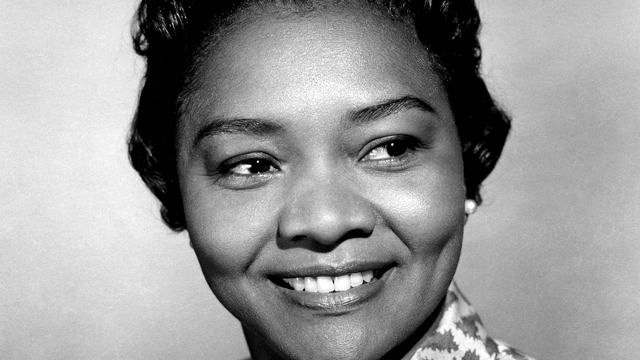 In 1960 Juanita Moore would become only the third African American to earn an Academy Award nomination. That would be the highlight of her career. Following the nomination, work was not necessarily any easier to come by. Moore remarked that she actually got more jobs before the Oscar nomination because now casting directors couldn’t see her taking on any more maid/servant roles. It was an uncomfortable plight similar to what Dorothy Dandridge experienced. In the years after her Oscar nod, Juanita Moore would continue to work in television and on Broadway. She was 99-years-old.